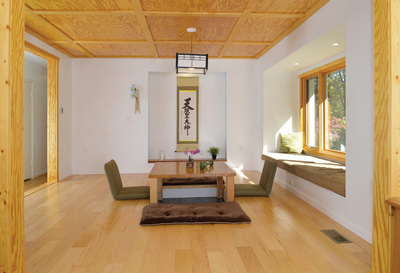 Japanese Style Living Room - Daniel Krienbuehl Contractors Inc. The living room was built with a heated sunken floor and Japanese kotatsu table. 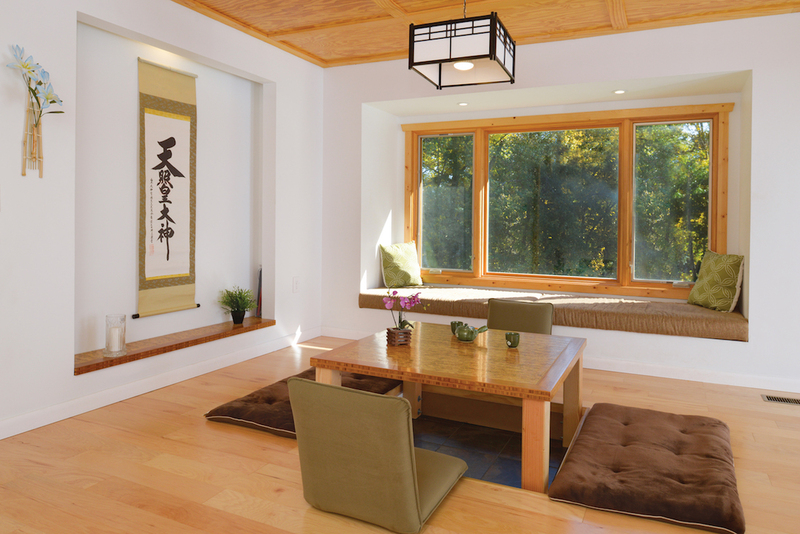 The Japanese style living room with heated floors has become the client’s favorite family gathering place where their children love to hide under the table and watch cartoons. The large window adjacent to the living room is a great place for the family to relax, read a book, and observe the wildlife in the forest down below. 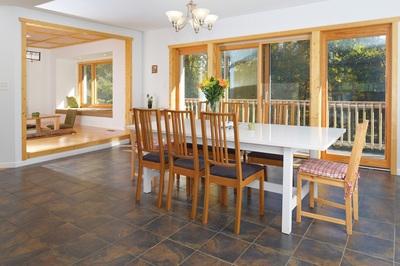 With the intention of connecting to nature, the kitchen was moved to the front of the house so the new large south-facing windows could be a part of the living room. 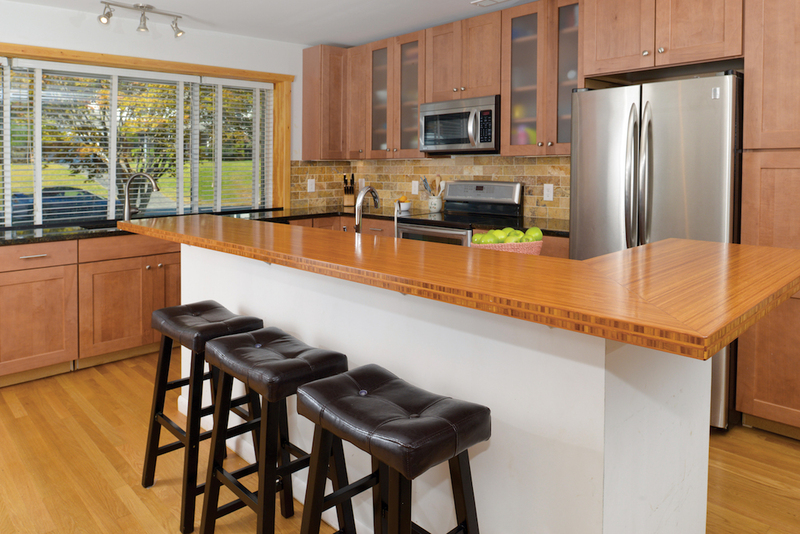 The family of seven needed a bigger kitchen with more countertops and cabinetry. 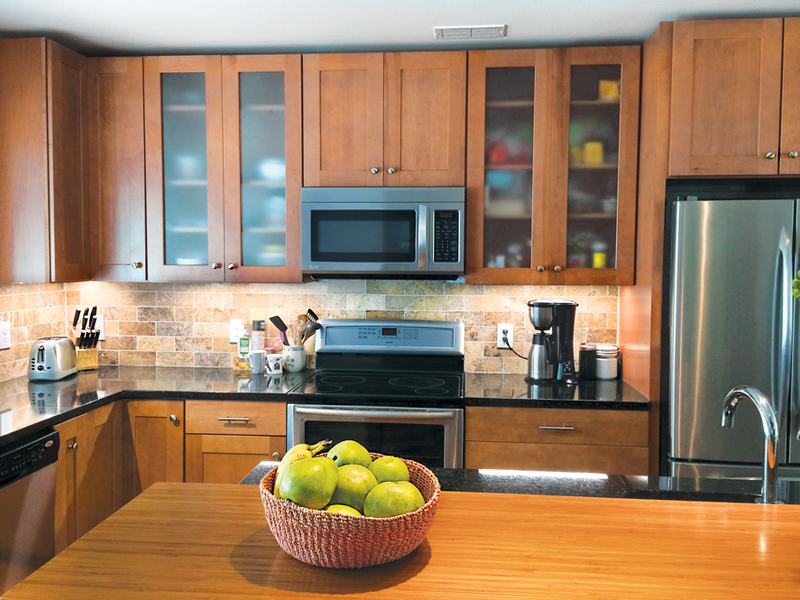 Their new space features two kitchen sinks, an induction range, LED under cabinet lights, and LED track lighting.